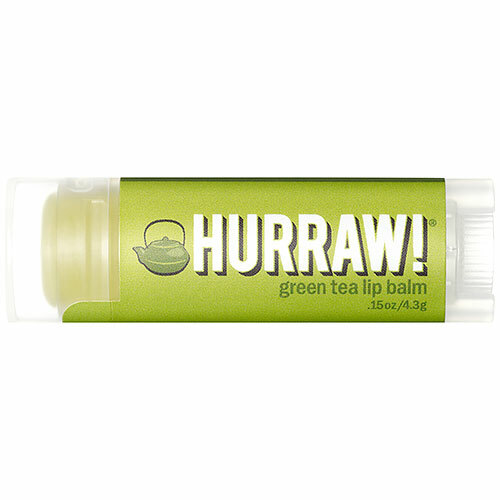 Organic Canadian grown cold pressed Hemp oil is added to the mix making Hurraw`s green tea balm a bit different from the rest of the pack. Exceptionally high in omega fatty acids, it`s nutritious and very moisturising; your lips will love it! Matcha green tea powder delivers added antioxidant benefits. Hurraw`s organic flavour, with hints of jasmine, delivers the delicate scent of green tea. To ensure the quality and integrity of their product, they individually pour each tube of Hurraw! balm in their own facility. Their priority is to make Hurraw! the finest balm available... a great product to be used by everyone regardless of lifestyle. Apply as and when needed throughout the day. 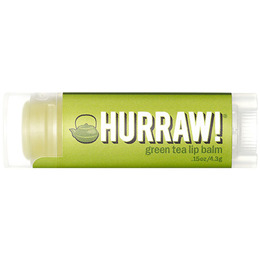 Below are reviews of Hurraw Green Tea Lip Balm - 4.3g by bodykind customers. If you have tried this product we'd love to hear what you think so please leave a review. Organic Canadian grown cold pressed Hemp oil is added to the mix making Hurraw`s green tea balm a bit different from the rest of the pack. Exceptionally high in omega fatty acids, it`s nutritious and very moisturising; your lips will love it!